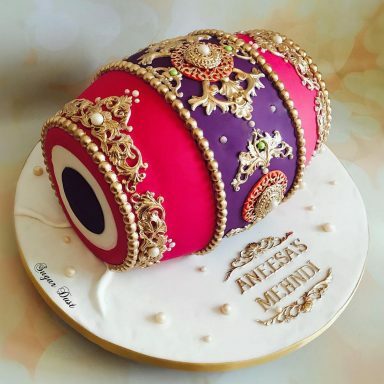 13 Awesome Engagement Cake Designs We Spotted By Indian Bakers! » » The Urban Guide » Weddings » 13 Awesome Engagement Cake Designs We Spotted By Indian Bakers! Every third wedding these days has an incredible wedding cake (a totally made up statistic, but it sounds about right). But if you’re getting engaged or roka-d soon, there’s no need for you to wait till your wedding day to order a beautiful cake! More and more couples are asking for engagement cakes, and no – not the simple black forest or chocolate truffle. These are often multi-tier fondant or buttercream beauties with incredible sugar work and customised cake toppers. 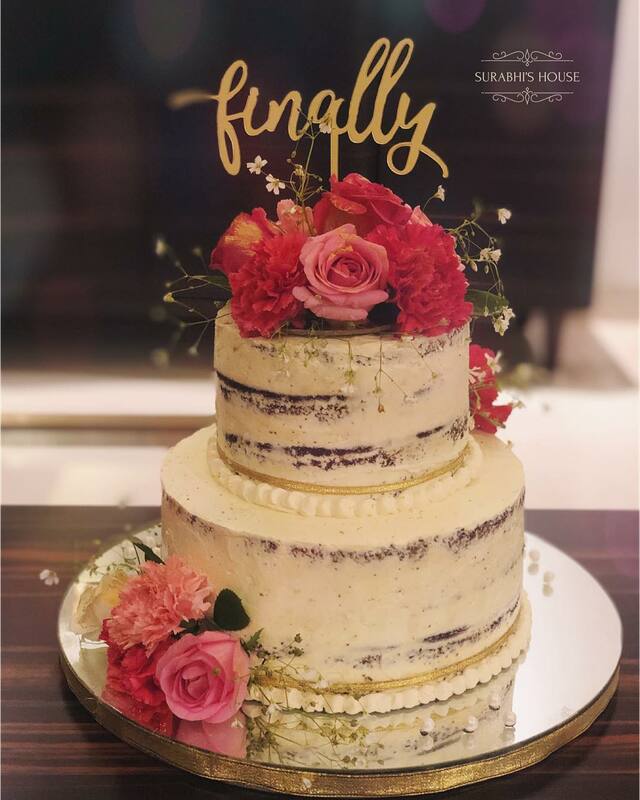 If you’re looking for ideas, see the best engagement cake designs I’ve found – baked and decorated by Indian wedding cake designers! They can, and will, make your Pinterest dreams come true. 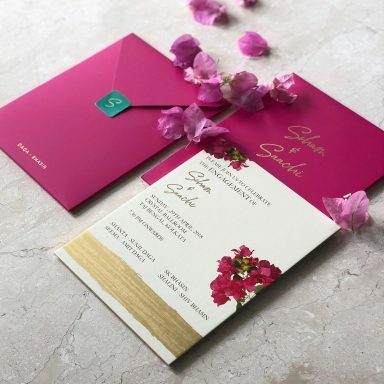 When one of Delhi’s best wedding photographers, Mahima Bhatia, got engaged, she picked one of Delhi’s best cake decorators to create a beautiful baby pink & gold design for her! 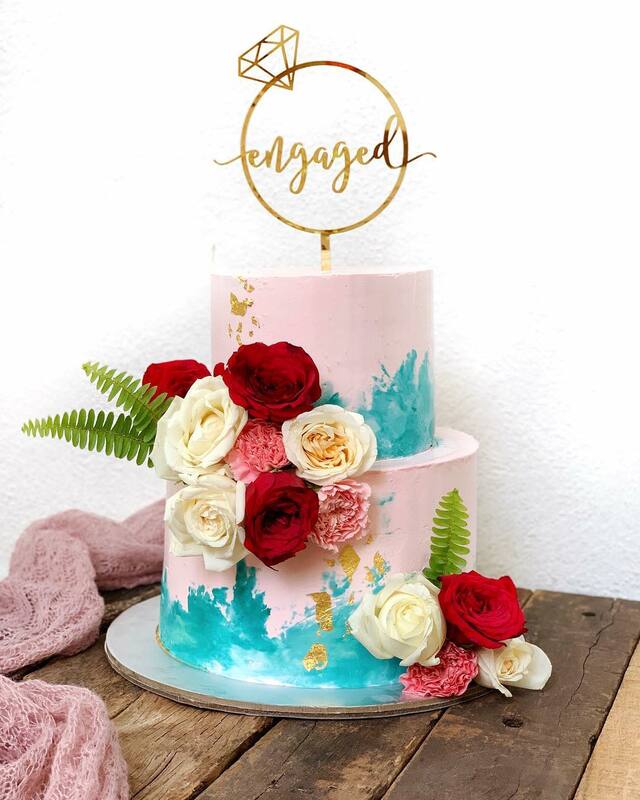 A cute cupid’s arrow that goes through 2 engagement rings, butterflies and edible sugar flowers make this one of the prettiest engagement cakes I’ve ever seen. Who doesn’t love watercolours used in weddings?! And this dessert is really pretty! The touch of gold foil & lavender flowers adds some much-needed dimension to an otherwise pink cake. 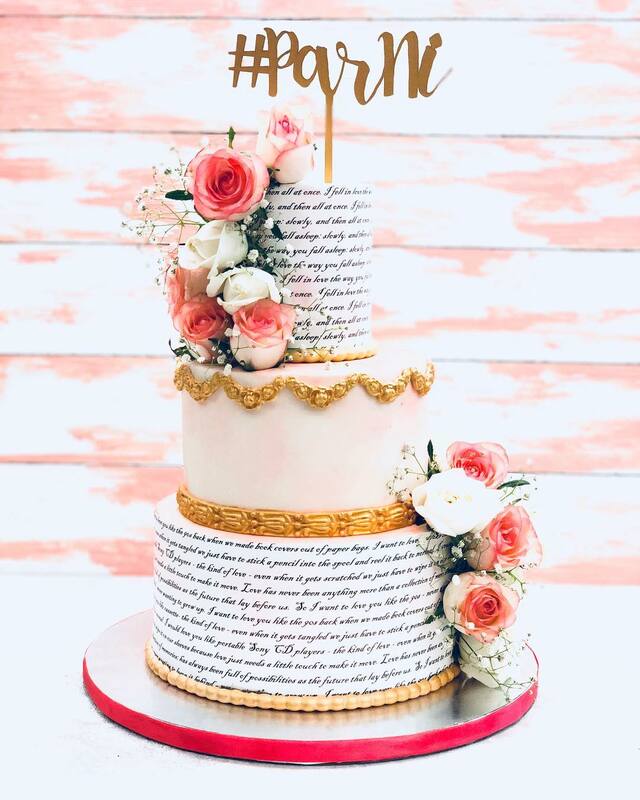 Unique Engagement Cake Idea – Love Quotes! “From the day we met to the endless meets, the butterflies haven’t left but settled ever so quietly. They found home. I found home.” This is just one of the many romantic quotes that’s been printed on the top & bottom tiers of this peach & gold cake. 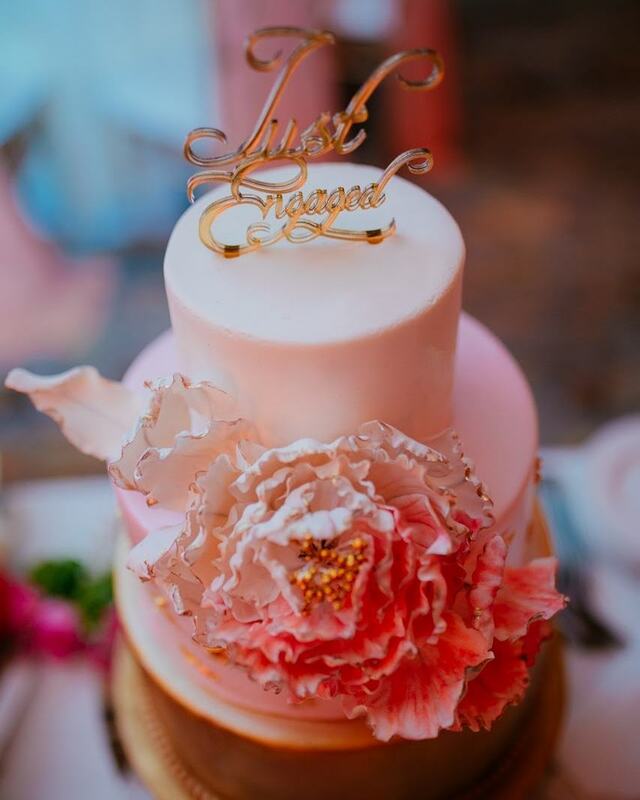 They kept the cake topper simple – the wedding hashtag – since there was already plenty of text in the overall design. 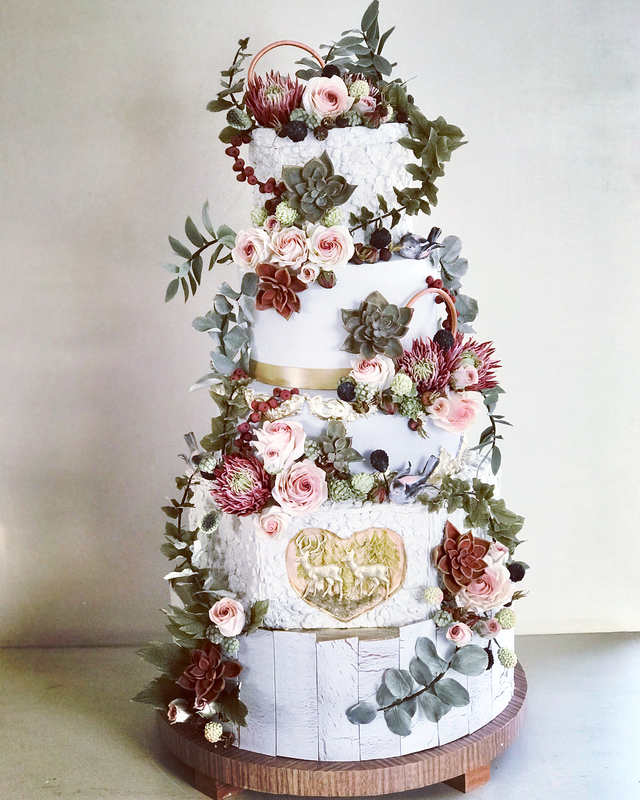 Gorgeous Woodland Theme 5-Tier Engagement Cake! While most engagement cakes are single or two-tier, the odd one might have three. But this one takes engagement cakes to a whole other level! It’s an intricately decorated 5-tier beauty. 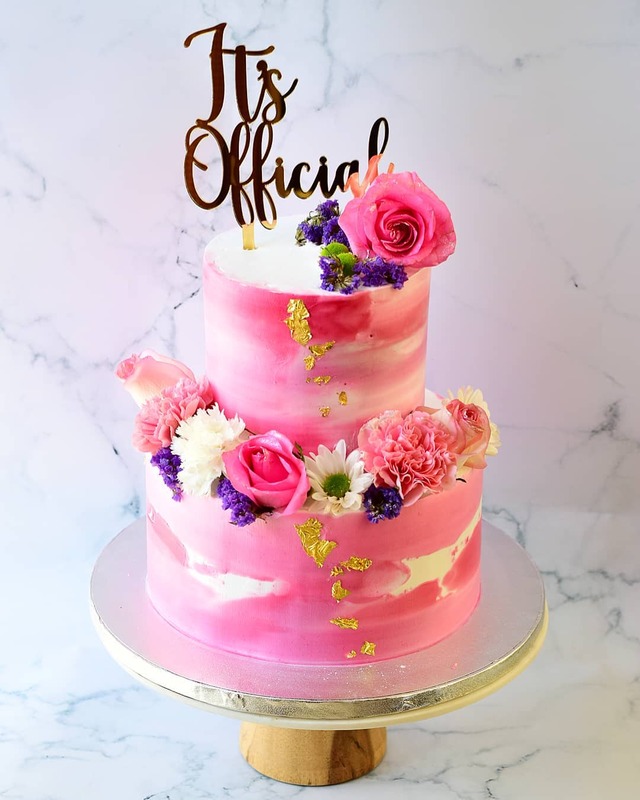 But once you realise it was created by a popular cake decorator for her own engagement party, you’ll understand why it’s no an ordinary engagement cake. In ombre shades of pinks & the lightest of peaches, this drip cake looks like a candy shop! It’s a simple 3-tier cake neatly covered with fondant. The ombre effect over the 3 tiers and the beautiful large sugar flower in the centre makes it stand out despite its simplicity. 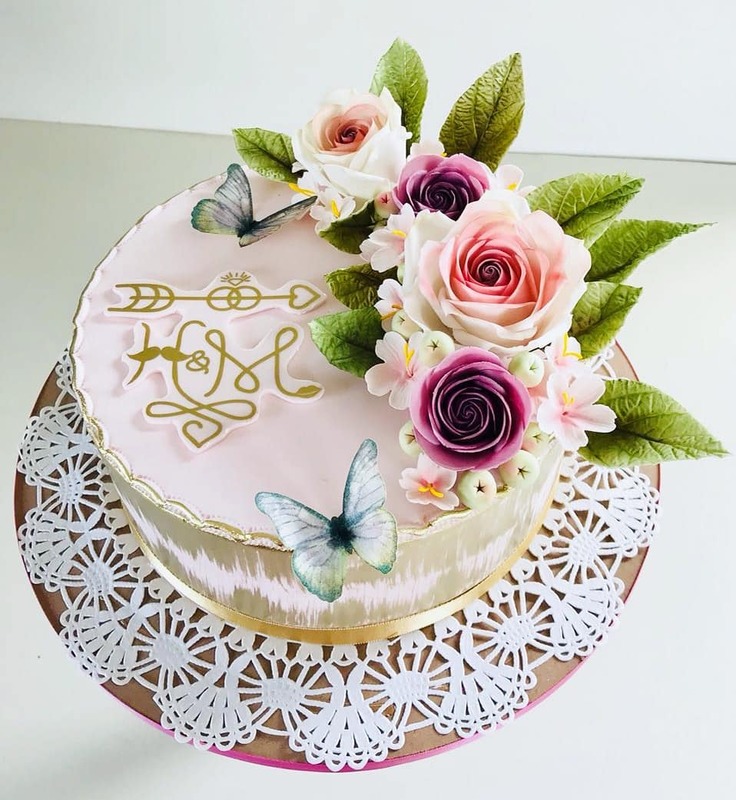 Buttercream cakes are back in trend, after years and years of everyone preferring fondant cakes. 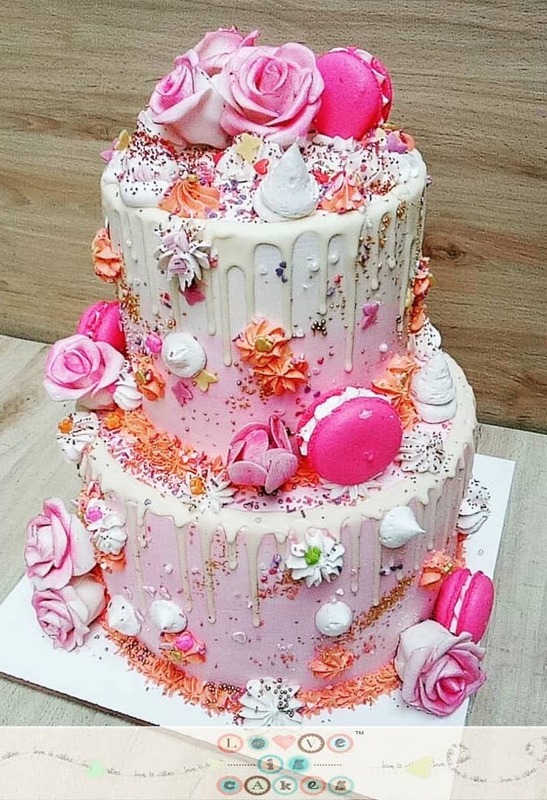 This buttercream beauty looks absolutely delicious with the pretty peach shades and fresh white flowers. 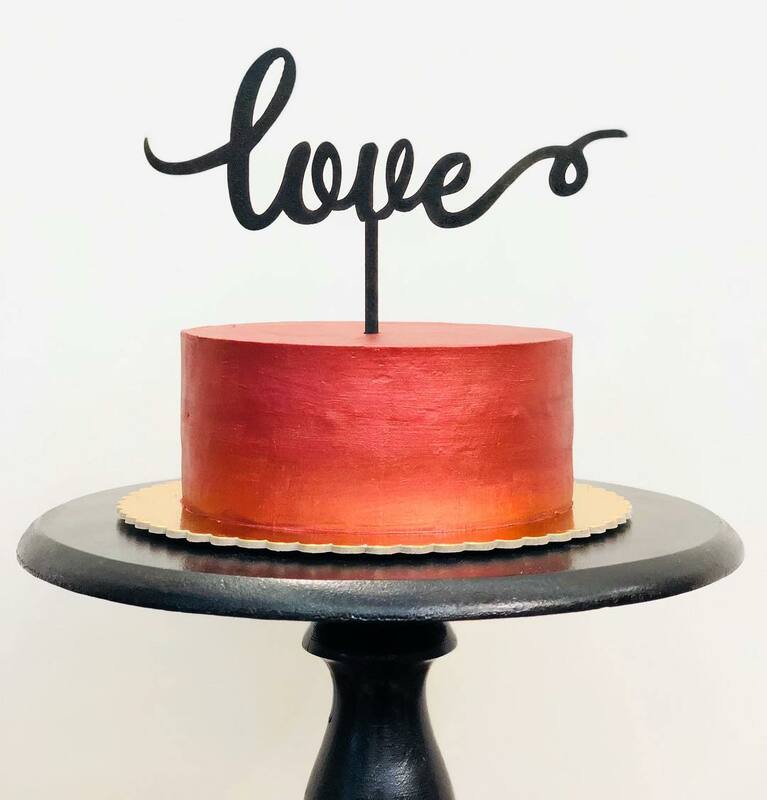 A textured copper buttercream cake with a simple “Love” topper – it doesn’t get more perfect than this for the modern Indian couple getting engaged! Another big trend that’s been around for a whole, semi-naked cakes give a rustic feel. The fresh flowers on this one give it a pretty finishing touch. 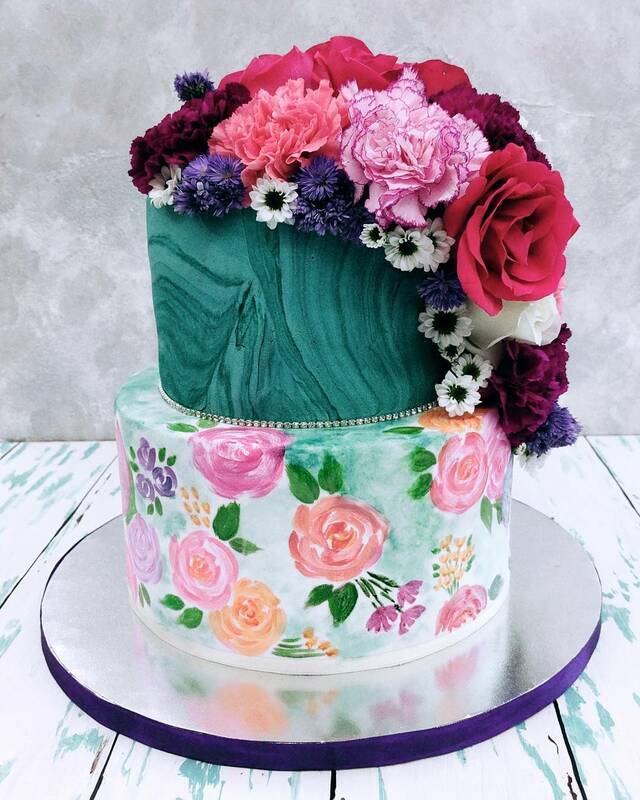 A gorgeous green marbled tier set over a hand-painted floral tier – this one made me stop and stare! It combines two of the biggest wedding cake trends – marbling and hand-painted – in a single design. 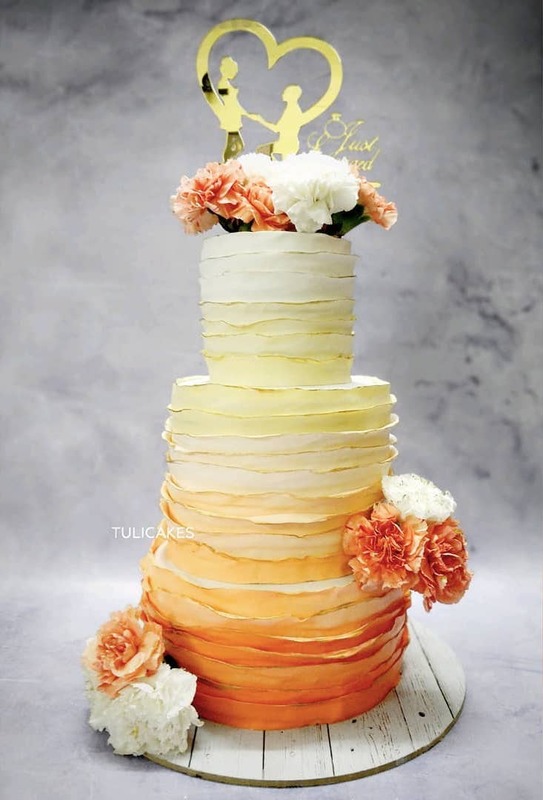 This simple 3-tier engagement cake took the basic peach and cream shades and made it beautifully modern. Ruffles go all the way to the top with the two colours creating an ombre effect. Watercolour Splash & A Unique Ring Topper! This coloured ganache cake is really simple and elegant. 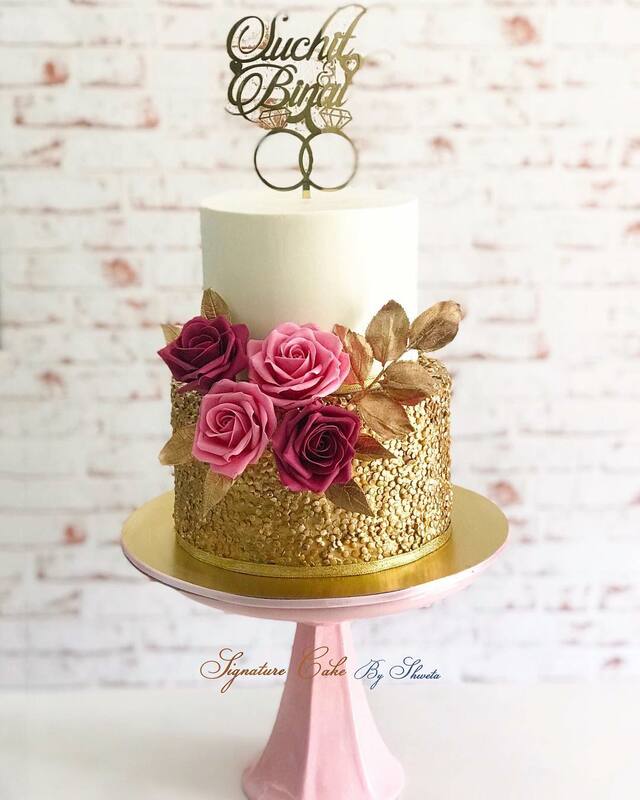 It’s got a textured gold bottom tier and gold edible leaves creating a backdrop for lilac and claret-coloured sugar flowers! 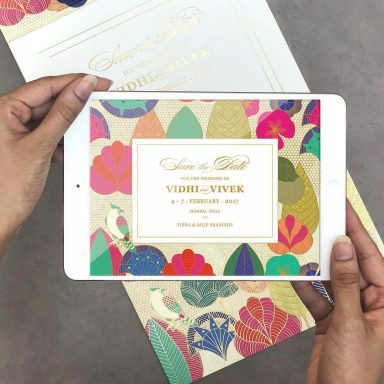 Where To Find The Best Wedding Invites & Save The Date Cards Online: For FREE! 22 Ideas To Steal From Mansha’s Pin-Worthy Delhi Wedding! 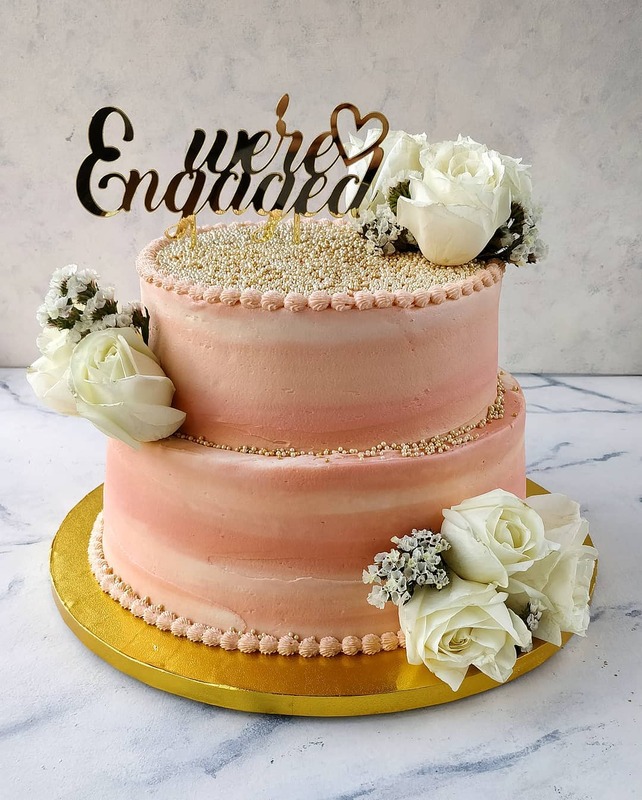 113 Awesome Engagement Cake Designs We Spotted By Indian Bakers! 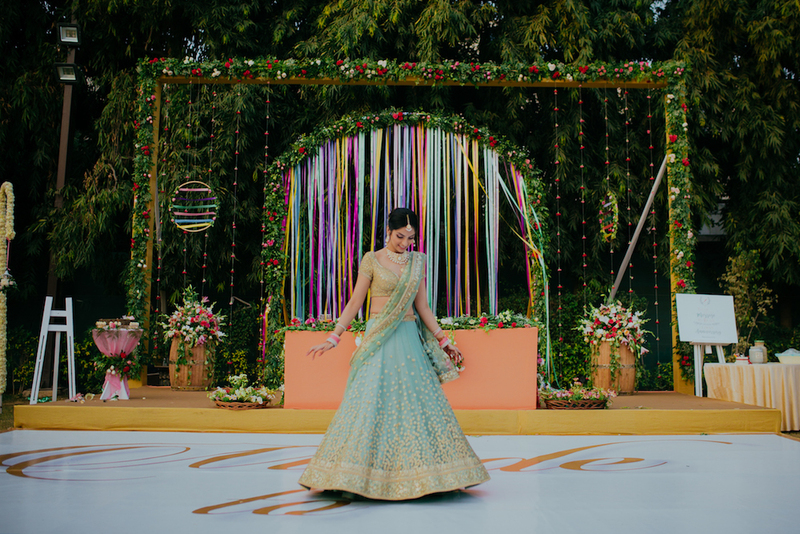 4 60+ Gorgeous Wedding Mandap Designs To Inspire You!